The nvclosetmedgrower community started from the idea to share my growing amoungst the youtube community in an effort to build and share knowledge with cannabis communities world wide. After some while of posting video content and communicating with different growers world wide, I found that I could help everyone by condensing my knowledge into a 7 part how to grow series. The popularity of that video series and a few other tutorials promoted the boom in subscribers and the birth of an amazing community of growers and cannabis enthusiasts. With a big community comes a need for big security. Big Dookey is my security/garden helper. What he says goes and he doesn't have time for games. Unfortunately Mr. Big Dookey passed away on 4/6/2017 he will always be a large part of keeping this community safe and happy. The nvclosetmedgrower community is getting to big to facilitate the needs and advise of everyone involved through only the youtube platform. This is why we chose to create www.NVCMG.com. this website is made to support our community through forums and information while maintaining a link to the social media platforms that grew this community to what it is today. 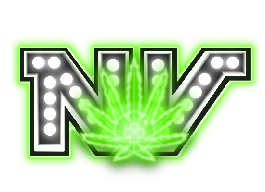 Feel free to ask and read about cannabis grow advise in the forums or browse through the shop of NVClosetMedGrower merchandise to support this cannabis community.